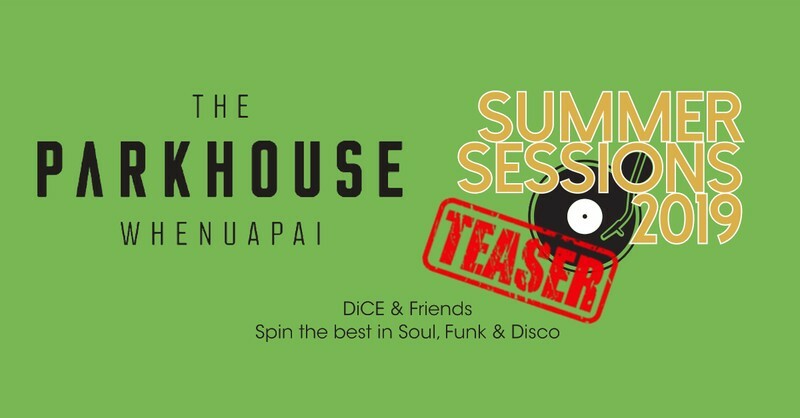 DiCE & friends host the 'Summer Sessions 2019' at West Auckland's best kept secret - The Parkhouse Whenuapai. The Parkhouse boasts beautiful seasonal produce, fresh baking, organic coffee, smoothies & delicious woodfired pizzas...and there's even a great playground off the covered deck so everyone's taken care of...That's before we talk about the $10 Margarita Pizzas or $8 Margarita cocktails!!! Dice_NZ are known for their cheeky edits of Aotearoan classics such as Jon Steven's ‘Jezebel’ or their reworking of the Chris Knox classic 'Not Given Lightly', as well remixes such as Fat Freddy's Drop amongst many other tracks...Expect uplifting, classy funky nuggets to keep your ears amused while the team at The Parkhouse look after everything else.